Three years ago, in 2013, two photographers Amit Amin and Naroop Jhooti decided to document their Sikh brethren who wear a turban and beard as a part of their religious and cultural identity. This gave birth to their Kickstarter funded photo-series ‘The Singh Project’ which highlights the distinct ways Sikh men project their identities. 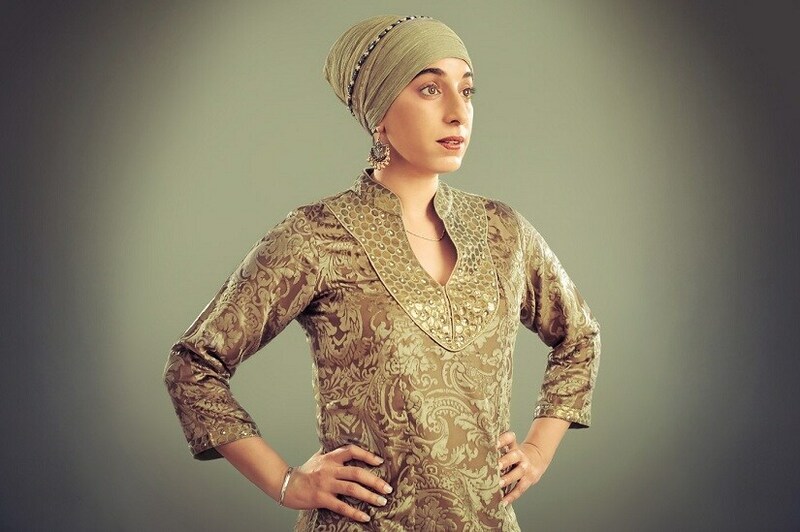 These un-stylised, studio portraits of Sikhs have become internationally famous and this year, with the help of the Sikh Coalition, they are bringing their project to America. The Sikh Project featured portraits of 38 Sikhs (men and women, both) from 17-25 September 2016 at a New York gallery. An interview with the duo revealed several interesting aspects about the photo series, including its origins. 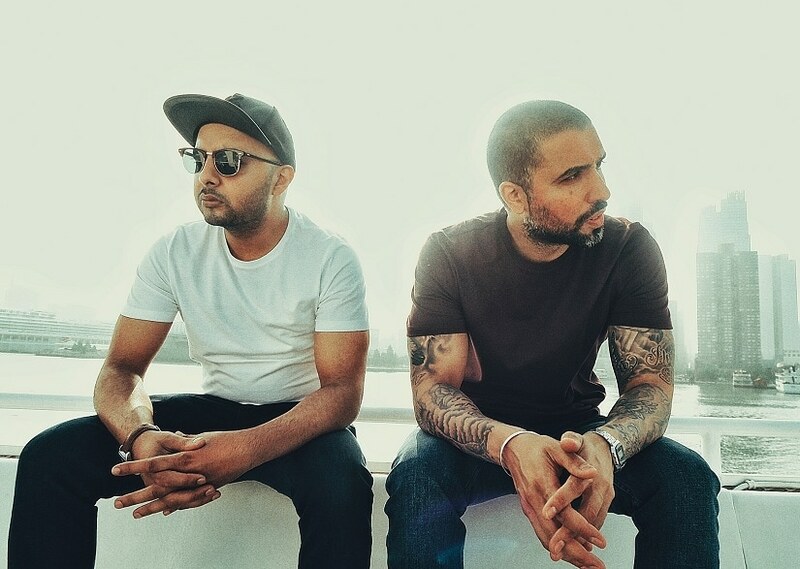 How did you come up with the idea for 'The Singh Project'? Back in 2013, we did a lot of work in an East London area called Shoreditch, which is supposed to be really hip. We started to notice men who had started growing growing long beards to stand out and be cool. We thought it was really interesting because Sikh men have grown beards for thousands of years as a part of their religion and never as a fashion statement; it’s just an integral part of who they are. That’s when we thought, why not do a project with beards and Sikh men, to show how this has been a part of our religion for years. We then extended our idea to incorporate the turban with the beard. We wanted to throw a spotlight on the juxtaposition between the beard and identity and how Sikh men carry their identity. We decided to name the project ‘The Singh Project’ with ‘Singh’ being the last name of many Sikh men. 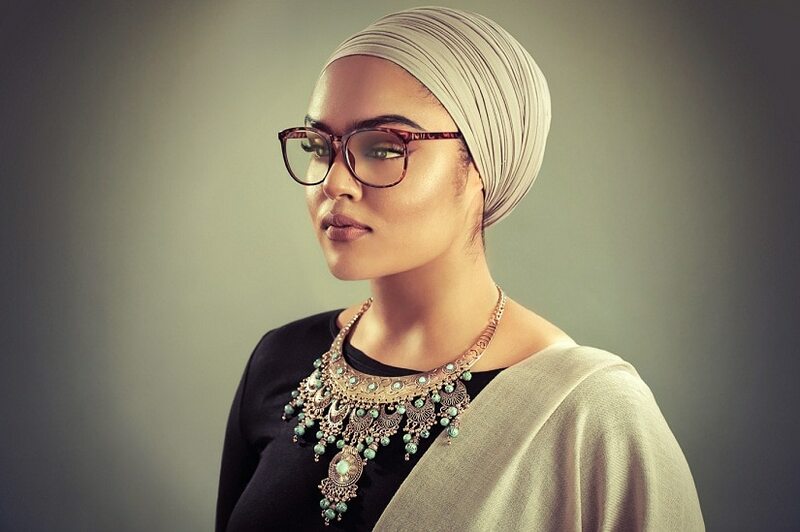 The US project is called ‘The Sikh Project’ because it also features women who wear turbans; we wanted to include women who carry their Sikh identity too. Lathan Dennis-Singh considers wearing a turban and growing a beard as a wonderful gift. He was born in Kingston, Jamaica, and was good friends with Bob Marley. How do you find your subjects, and think 'Yes, this is the person I want to photograph'? Initially it was very difficult for us to find people for ‘The Singh Project’. We first photographed my grandfather and my dad’s friend; who were both Sikh men with beards and turbans. We retouched those photographs, and we would walk around in South Hall (which is predominately an Indian area in London) and show those photographs to people on an iPad. We would tell them the reasoning behind our photo-series and ask them if they would like to get involved. Initially, people were hesitant to be a part of it, but slowly over time, we started to get enough people. 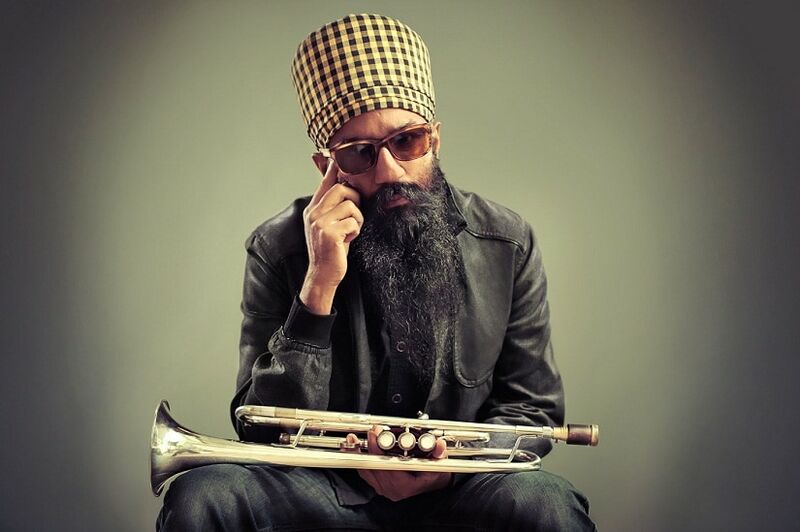 Sonny Singh is an original member of the acclaimed Brooklyn Bhangra band Red Baraat. Sonny has worked as a community organizer in various capacities, including for the Sikh Coalition, and he writes and leads workshops on race, religion, and social justice. We wanted to photograph them as they were because, it was about how they looked, and also what they did for a living. This way we could break stereotypes and show the world that all Sikh men weren’t accountants, doctors and engineers — but they are also polo players, magicians, boxers or watch makers. So when we started trying to gather portraits for 'The Sikh Project', we worked with the Sikh Coalition in New York. We made a list of the kind of people we wanted to photograph. 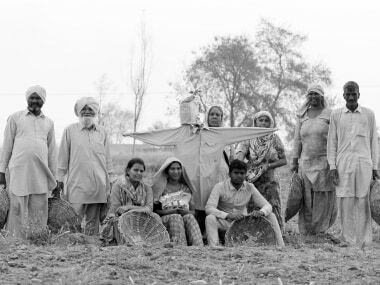 With the popularity of 'The Singh Project' working for us, and our predetermined list, it was much easier to find subjects willing to be photographed. We even did a casting on Facebook for people to submit portraits with back stories; and we selected one or two like that as well. 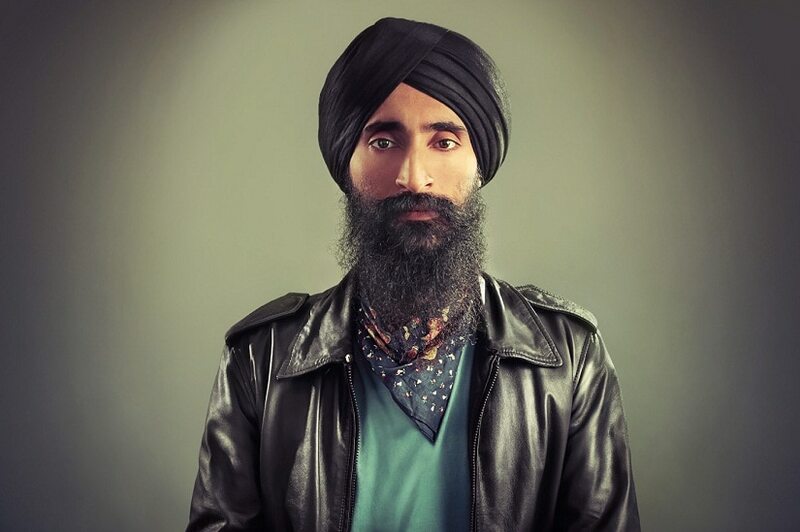 Waris Singh Ahluwalia is an actor, designer, and model based in New York City. 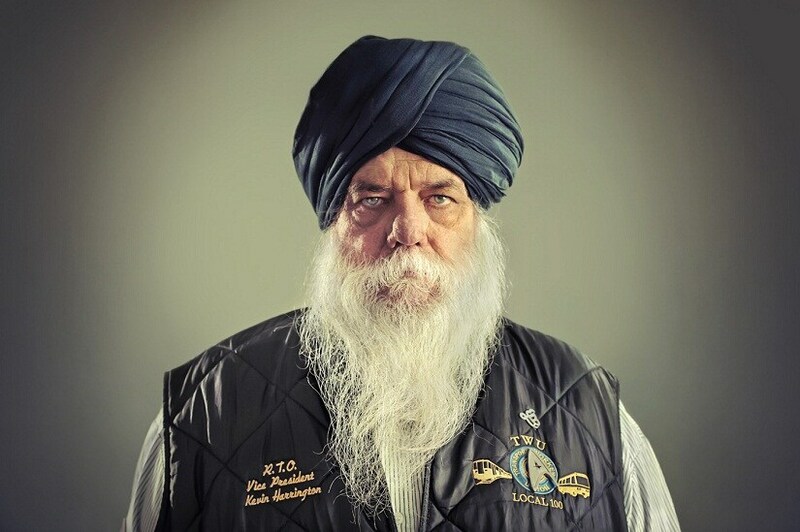 Waris was kicked off an Aeroméxico flight in February for his Sikh articles of faith. How ready are your subjects to be photographed? Majority of the subjects, barring one or two, never had their photos taken professionally. They were quite nervous, but then that’s the challenge we enjoy as photographers. Photographing a model or an actor is not really the hardest thing but it’s with members of the public that the skill really comes out. They were excited but also a bit nervous. Major Kalsi was the only Sikh child in his public school and went on to become the first Sikh American to be granted a religious accommodation to serve in the U.S. military since the ban on Sikhs in the 1980s. 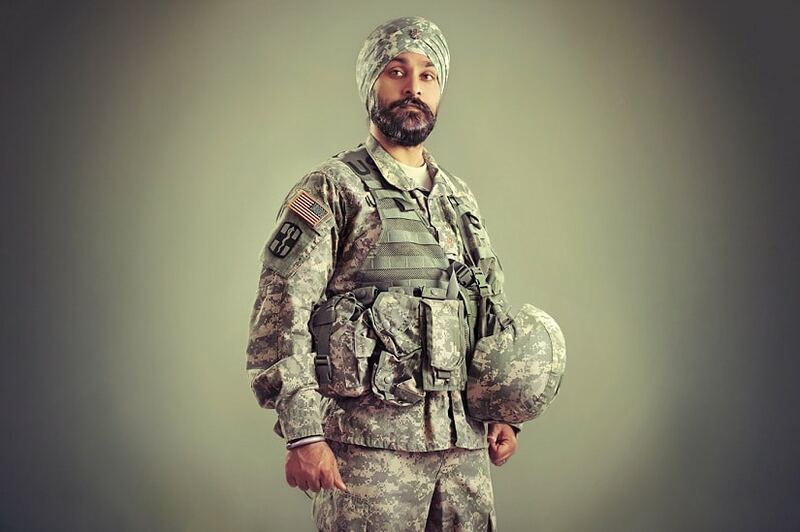 Today, despite his accommodation, the presumptive ban still remains against Sikh Americans who wish to serve in our armed forces, and Major Kalsi continues to dedicate much of his life towards working to end religious discrimination in the military. Are they okay with sharing their stories in a public platform? Well in the US, from what I have been told, there is still alot of prejudice and bullying against Sikhs (post-9/11). They are still called names, and hopefully this is something 'The Sikh Project' can change. America is a big country, there are so many different people and different cultures. Like New York might be the most culturally diverse and progressive thinking but the attitude in middle America is a whole different ballgame. But in the UK, they don't seem to face the same level of prejudice that Sikhs seem to face in the USA. Kevin Harrington was a NYC train operator, driving the train during the attack on 9/11. He saved many lives when he reversed his train, sending it in the opposite direction. He was honoured as a hero, but he went onto sue the NYC Metropolitan Transport Authority, when they changed their policy and banned turbans from the workplace. He won the case, with the help of The Sikh Coalition, and was once again allowed to operate the train. In your subjects, is there a more passionate need to hang on to identity because of being in a foreign land like the UK or USA as compared to being in your country? Yeah, we do think so. 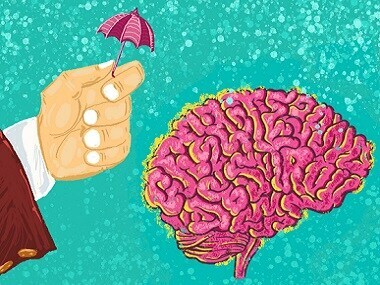 Some people let go of their culture and some people (don't). 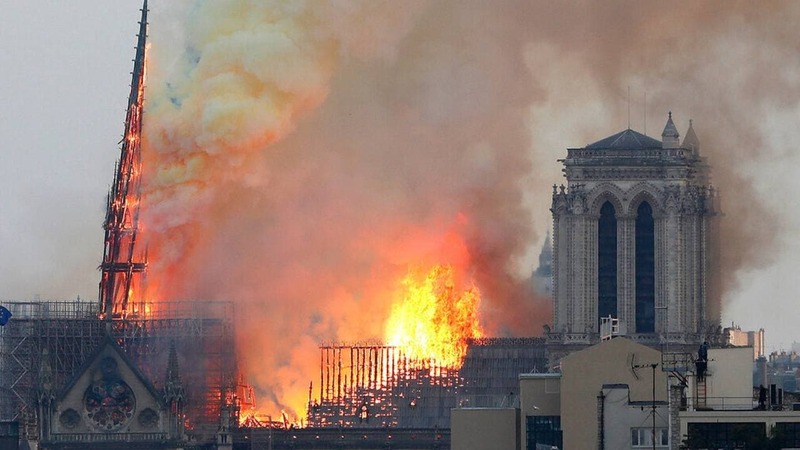 If we all let go of our history, our heritage and culture, then we all will end up being like each other and that will be a very boring place to be. So the subjects, yes they are all hanging on to who they are and but also we think it's important to understand that hanging on to history doesn't mean we can't integrate with people. People can be united and have different backgrounds, that's what makes them unique. Harpreet Kaur works as a producer at Maryland Public Television and is the founder of Sach Productions, a media organization that aims to create films that bring minority issues into the mainstream media. She was the first Sikh local news reporter in the Washington metropolitan area. How did you go about your Kickstarter campaign? 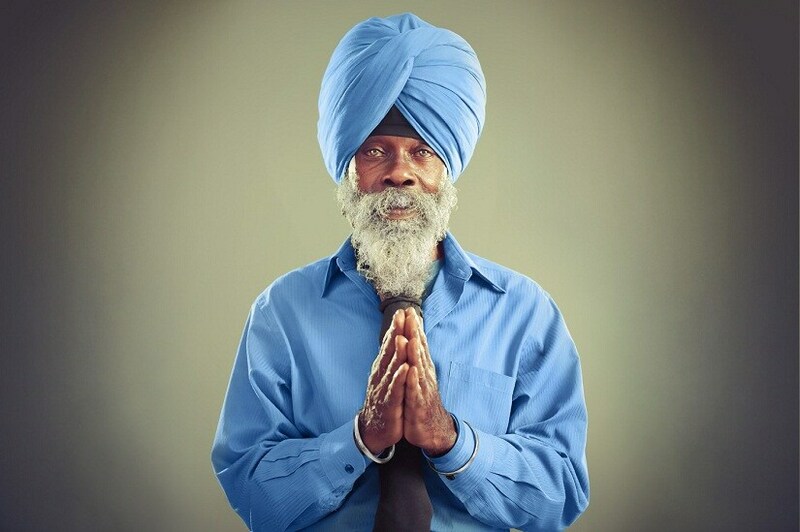 Well we launched our kickstarter campaign for our Singh Project exhibition. Our aim was to raise 7,000 pounds in a month. We ended up raising 10,000 pounds in 10 days, and surprisingly, alot of the donation came from people who were not in the UK. Not only were we getting donations internationally, but we were also getting them from non-Indians and non-Sikhs. We think this speaks about the universality of the project. Our next kickstarter campaign is to raise funds for creating a book out of the portraits of the exhibition. 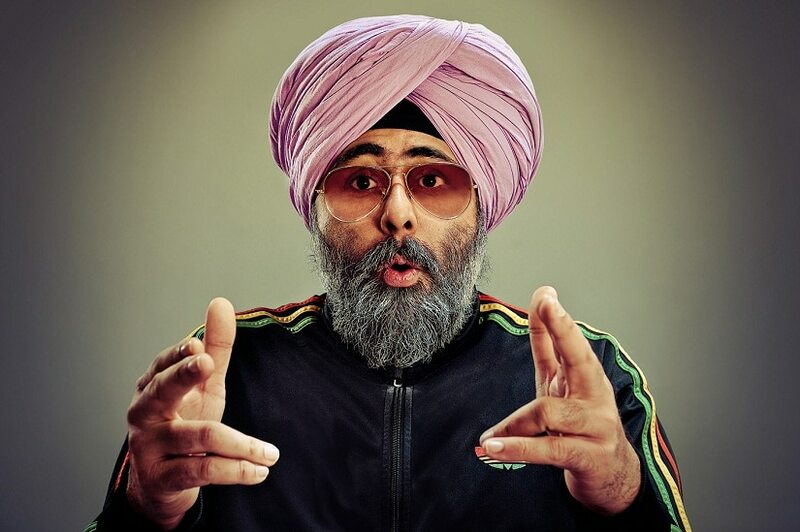 Hardeep Singh Kohli is an acclaimed writer, comedian and presenter. Any other exhibitions or portrait series that you are working on? We are also working on this other project called 'People Who Play' which is about costume play, about people who dress up for Comic Cons as their favourite characters. We have photographed more than 70 people for this.The interesting thing is that these people who dress up as their favourite superhero characters, invest so much time and energy in these costumes, don't you wonder who they are in real life? Someone who might dress as Batman might be a plumber, someone who dresses up as the Hulk might be a teacher — it is really interesting to see the people behind the costumes. Ishprit Kaur, a nursing student, was inspired by her mother, also a medical professional, to pursue a career in medicine. Another contributing factor to her decision to become a doctor is that her father suffers from Parkinson’s disease. Are there any photographers that you draw inspiration from? Nadav Kander, Sharif Hamza, Vincent Peters, Mitch Jenkins are some of the many photographers that we draw inspiration from. All photos are courtesy Amit and Naroop.